One of the most nutritious fruits in the world, the Açaí (ah-sigh-ee) berry, has the rich flavors of concord grape and ripe blueberries. 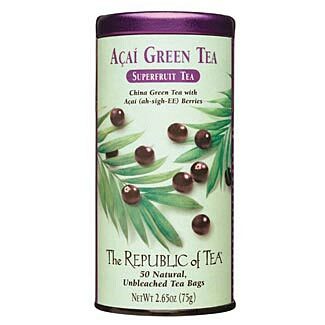 Combined with the crisp flavors of green tea this delicious duo offers a one-two punch of antioxidants. Sip your way to good health with this green tea blend.